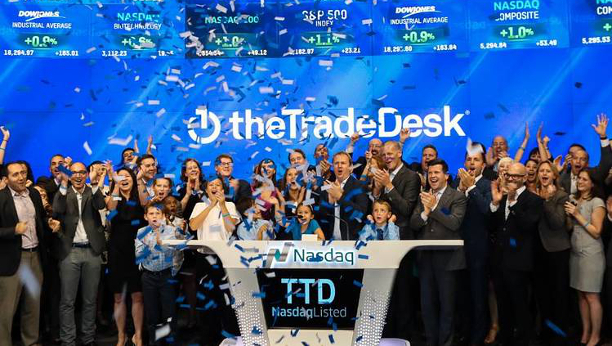 The Trade Desk is a global technology company with a mission to create a better Internet for everyone through principled, intelligent advertising. Handling over 600 billion queries per day (more than 100X the query volume of search globally), our platform operates at unprecedented scale. We have also built something even stronger and more valuable: an award-winning culture based on trust, empathy, collaboration, and ownership. By working together across typical dividing lines, we are better as a team than any of us could be apart. Do you have a passion for solving hard problems at scale? Are you eager to join a trust-based, globally-connected team, where your contributions will make a meaningful difference? Come and see why Fortune Magazine recently named The Trade Desk among the best small to medium-sized workplaces in the US. Our Senior Engineers are end-to-end owners. You will participate actively in all aspects of designing, building, and delivering products for our clients. We have dozens of individual, mission-focused teams working across a wide spectrum of technological challenges. You will have the opportunity, depending on your interests and aptitude, to work on large-scale distributed systems coordinating thousands of servers in cloud and physical data centers around the world, petabyte-scale data challenges, machine learning, advanced visualizations, and interactive user interfaces – to name a few. Senior Engineers contribute to more than our product – they build up our team. Through a combination of mentoring, technical leadership, and/or direct management of small teams, they make others better and raise the bar for those around them. You have a sustained track record of making significant, self-directed, and end-to-end contributions to large and impactful software projects. You think beyond just the task at hand to deeply understand the 'why' behind what you are doing. You understand engineering fundamentals. At our scale, many off-the-shelf techniques and existing technologies (open source and enterprise) simply don't work. You are able to work from first principles to evaluate solutions and adapt them to a unique environment. What and how you can contribute is what’s important to us. Our consideration is not limited by the kind of education you have or the specific technologies you have experience with. Variety of technical challenge is one of the best things about working at The Trade Desk as an engineer, but we do not expect you to know every technology we use when you start. What we care about is that you can learn quickly and solve complex problems using the best tools for the job.